The ancient Charles Bridge stretches across the Vltava in beautiful downtown Prague, capital of the Czech Republic. Many statues line the bridge. 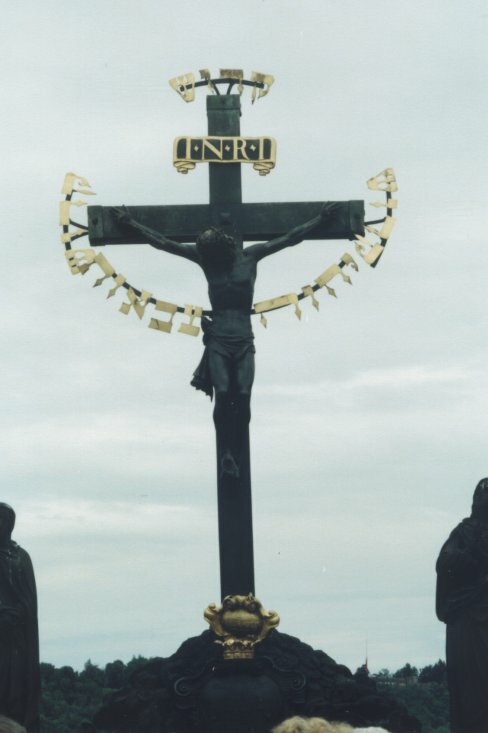 This small icon caught my eye.It’s the only crucifix with Hebrew lettering that I’ve ever seen.